We offer free delivery with the purchase of 15 or more 40 lb. bags. Under 15 bags will be subject to a fee. These are the terms on which we will deliver ice to your location. 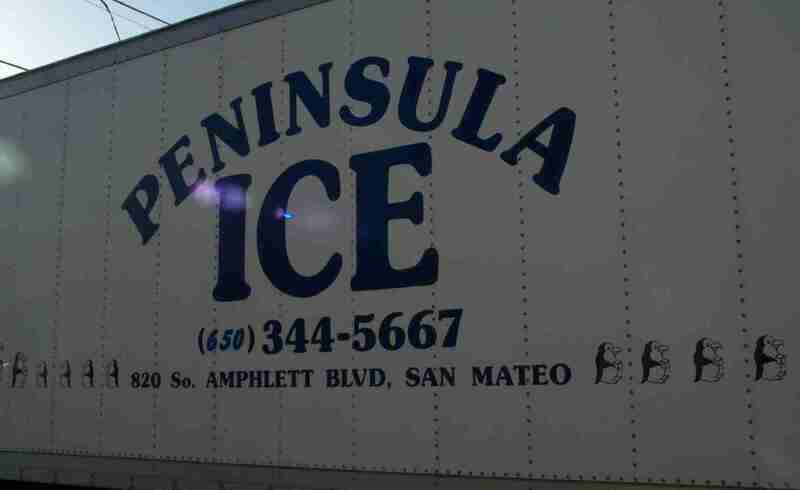 Ice is a food product; We cannot return ice to the freezer once it has been taken out for delivery. If once we arrive, you decide you do not agree with the terms, the ice will be dropped right outside our delivery vehicle and left. If you refuse to pay, the bags will be torn open and dumped. You and any organization you work with/represent will then be added to our 'Never Again' list. Unfortunately we wouldn't have this policy if this didn't happen quite frequently. We are more than willing to work with our customers to ensure they get their ice when and where they need it. BUT - we expect our customers to respect our terms and not abuse our generousity. Transport ice up or down stairs. Enter a residence, business, private location, park, event hall, etc. CURBSIDE DELIVERY ONLY. Load freezers (unless we own them), Walk-in freezers/refrigerators, ice machines, etc. Drive across lawns, sports fields, sand - anything that will cause our vehicle to become stuck or cause property damage! CURBSIDE DELIVERY ONLY! We do not deliver half the delivery at one location and the other half somewhere else. One stop, CURBSIDE DELIVERY ONLY. We DO NOT deliver to the Kohl Mansion or onto the Stanford campus. No Exceptions! These are problems we run into with deliveries. One of the biggest problems we have is when there is an event, one person orders the ice and doesn't tell the person in charge of receiving the ice that it is C.O.D. PLEASE have the payment ready when we deliver. Standing around waiting for someone to track down someone else who might have the check is something that will make us think twice about servicing your event again. If you want the delivery at 8:30, please have someone there at 8:30. A 40 lb. bag is about the size of large bag of dog food. Please keep this in mind when ordering. It's not our problem that once we bring you the ice, you decide you ordered too much. Please keep your pets in a secure location. We LOVE animals and will be happy to visit with them and give them scritches and kisses once we're done. It's just hard to unload a vehicle or maneuver a handtruck around an excited pet. It's a safety issue for us and them.